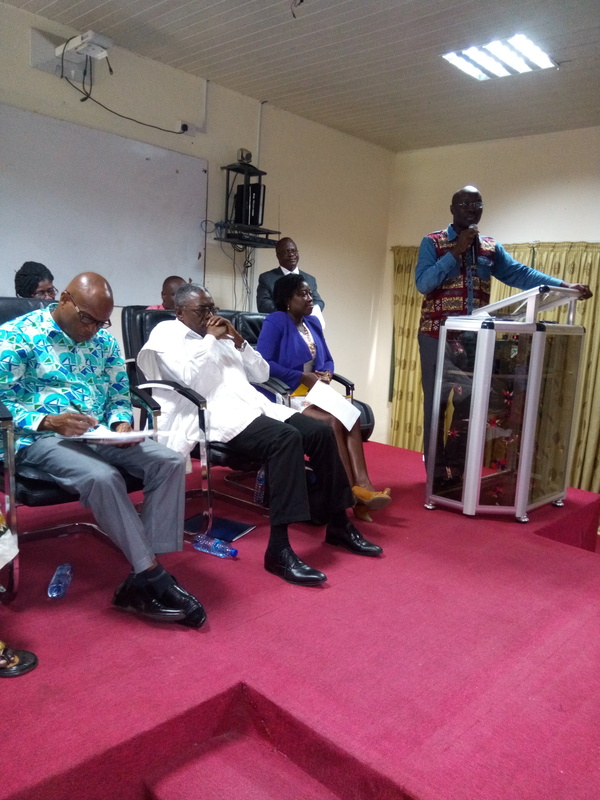 The College of Languages Education, Ajumako Campus of the University of Education, Winneba has held its first in the series of stakeholder consultations conference with chiefs and opinion leaders in Ajumako. The conference which was held on 8th August, 2017 discussed issues that centered on the development of the University and the community. The conference is a product of earlier informal engagements and discussions management of the College had with the chiefs and people to work on fostering healthy relations that will inure to the benefit of the University and the community it found itself in. 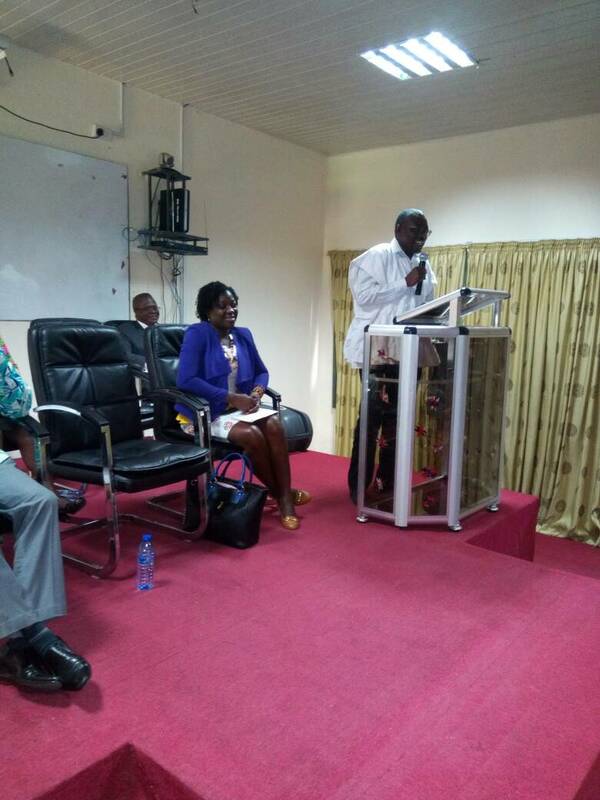 The Principal of the College, Prof. Avea Nsoh in an address observed that, being fully aware of the seemingly poor attitude of the Ghanaian society at large towards the study of Ghanaian Languages in school, the College and indeed the University is taking steps to restructure its programmes to make them more attractive and reflective of the demands of the job market. He said that despite challenges facing the University regarding lecture rooms, offices and residential accommodations, the University is doing all it can to ensure the College survives and grow. He observed that the University currently can house only 350 students at a time. Even though College of Languages Education has over 270 square acres of land, it is unable to develop its infrastructure to its fullest capacity for lack of funds. He used the opportunity to appeal to the Ajumako community and indeed well meaning Ghanaians to come to contribute their qouta in expanding facilities in the College. On his part, the Member of Parliament for Ajumako-Enyan-Essiam Constituency, Honourable Cassiel Ato Forson pledged his support towards the development of the community and the University. He said that "development thrives where there is peace and tranquility especially where there are no issues with land." He charged the stakeholders and the university to make good use of the resources it possess to develop the area. In the case of the University, he called on the Principal and the Registrar to create more avenues for an increase in the Internally Generated Funds (IGF) to embark on developmental activities. He noted that government has many responsibilities and commitments to fulfill, as a result stakeholders’ of the community should be more proactive to raise funds from within themselves to develop the community. He urged all stakeholders to continue to work together regardless of their political differences. 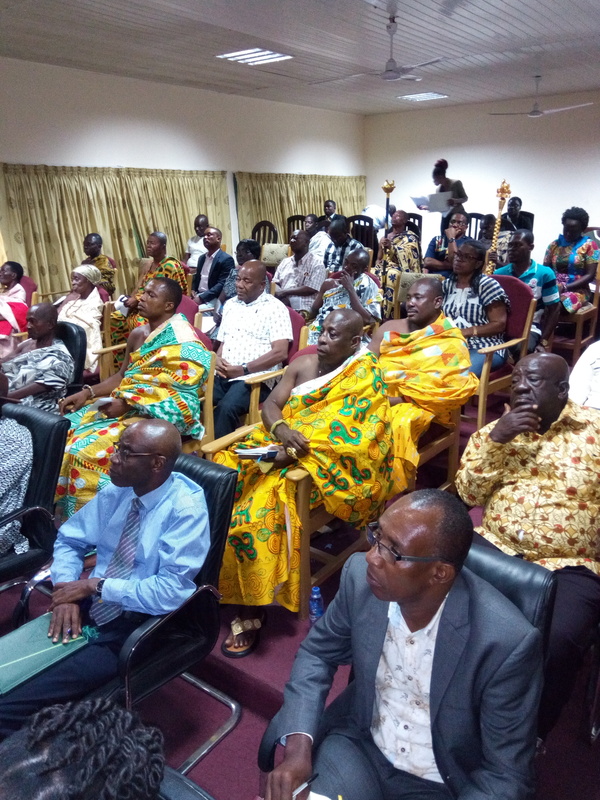 The District Chief Executive of the Ajumako-Enyan Essiam, Honourable Ransford Kwesi Nyarkoh, applauded the institution for initiating the discussions. He underscored the relevance of the University in the locality. He said that the siting of the University has brought about immense transformation in the locality. As a result, it is important for the discussions to be held regularly to tease out ideas that will bring about development in the area. He said that the Assembly will play an enabling role to harness resources from appropriate quarters for the development of the community and the University. He said efforts will be made to link with GETFund and the Ministry of Education to provide assistance for the timely completion of projects on the Ajumako campus. He also indicated that the Assembly will liaise with the chiefs to resolve all land disputes in the Area. Further to this, he noted that the assembly will scout for potential investors to assist in developing the community. 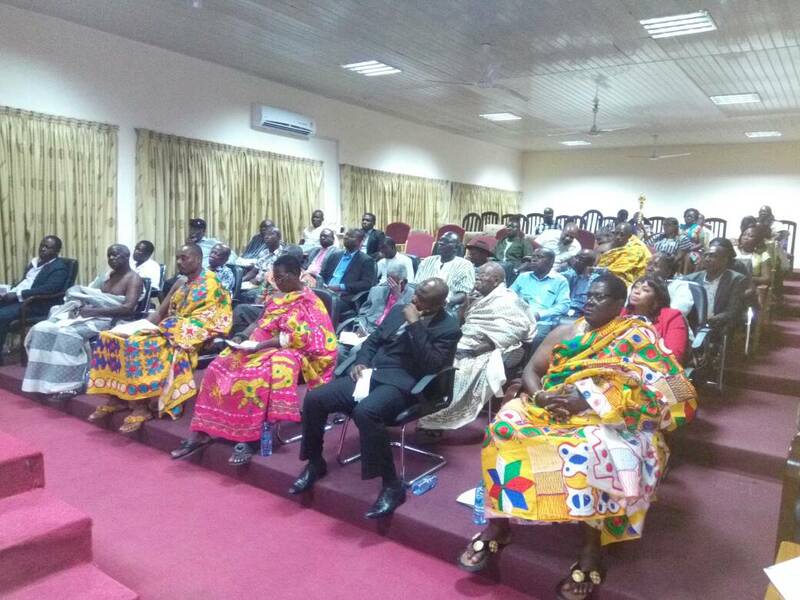 The Omanhene of Ajumako Traditional Council, Okukudurfo Nana Kwame Hammah, commended the Principal and Registrar for organising the forum. He made a special appeal to landlords/ ladies to ensure that students do not go through stressful conditions in securing accommodation. He pleaded with them to very considerate on the rents charges on Accommodation and to ensure that rooms rented out to students were in good condition to merit the charges. Instituting a Quota for the District in Employment and Enrollment at the University. Constituting a committee on lands to resolve all land issues. Thinking outside the Box for ideas on developing the area. 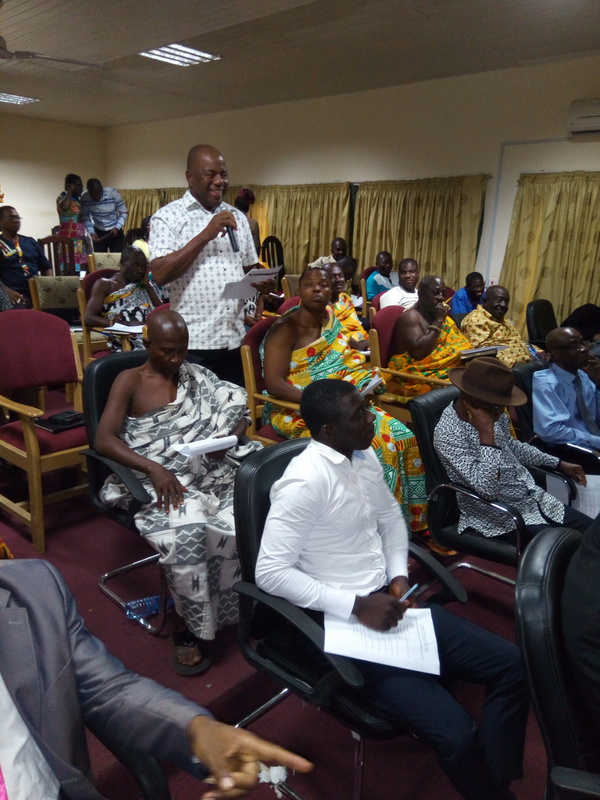 The meeting had in attendance stakeholders from within the community and outside including Chiefs, the Clergy, Businessmen, the Press, Farmers and Civil Servants. 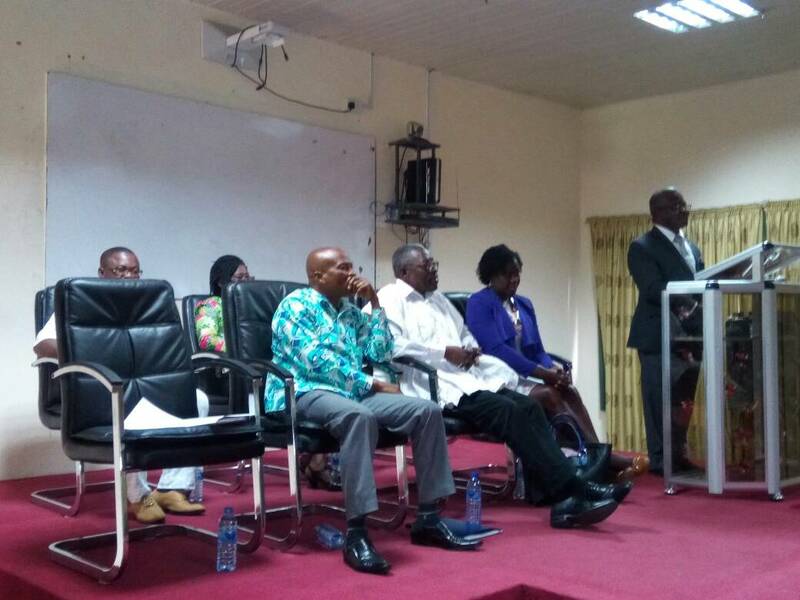 Also present were the Deans, Staff and Heads of Department of the Faculty of Ghanaian Languages Education.